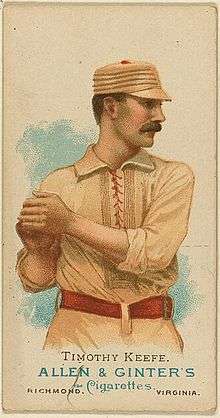 Keefe was very well-paid for his career, yet he was a leading member of the Brotherhood of Professional Base Ball Players, an early players' union that fought for the welfare of players. He assisted his brother-in-law Monte Ward to form the Players' League for the 1890 season. As a co-organizer of the Players' League, he recognized that he might be financially vulnerable if the league failed to make money. Keefe transferred ownership of his real estate assets to his mother so that they would remain safe from any legal rulings. Shortly before the Players' League was founded, Keefe had started a sporting goods business in New York with former W. H. Becannon, a former employee of baseball owner and sporting goods entrepreneur Albert Spalding. Keefe and Becannon manufactured the Keefe ball, the official baseball of the league. Spalding and the other NL owners fought against the new league, employing legal and financial maneuvers (such as slashing NL ticket prices) that made competition difficult. The Players' League folded after one season. Official career statistics as recognized by Baseball-Reference.com. 1 2 Fleitz, David (2009). The Irish in Baseball: An Early History. McFarland. p. 34. ISBN 0786453044. ↑ Stevens, David (1998). 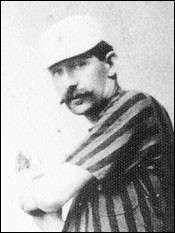 Baseball's Radical for All Seasons: A Biography of John Montgomery Ward. Scarecrow Press. p. 64. ISBN 0810834545. ↑ "Old-Time Star of Big League Taken by Death". The Evening Independent. April 24, 1933. Retrieved September 6, 2013. ↑ Purdy, Dennis (2006). The Team by Team Encyclopedia of Major League Baseball. Workman Publishing Company. p. 1014. ISBN 0761139435. 1 2 3 Bevis, Charlie. "Tim Keefe". Society for American Baseball Research. Retrieved September 6, 2013. ↑ Roer, Mike (2005). Orator O'Rourke: The Life of a Baseball Radical. McFarland. pp. 159–161. ISBN 0786423552. ↑ "He Won't Be Missed". The Morning Herald. March 1, 1891. Retrieved September 6, 2013. ↑ ""Tim" Keefe Released". The New York Times. July 22, 1891. Retrieved September 6, 2013. ↑ "Harvard's Baseball Nine". The New York Times. May 15, 1893. Retrieved September 6, 2013. ↑ "Grimes and 6 Others Join Baseball's "Hall"". Pittsburgh Press. July 25, 1964. Retrieved September 6, 2013.